For years we offered clients our own bespoke CMS. But WordPress became too good to resist. As of November 2016, WordPress powers c.60% of all websites that use a content management system (CMS); the next most popular is Joomla with 7%. Once thought of as a blogging tool, it can now be used for any kind of website, and is the choice of several Fortune 500 companies. At the same time its ease-of-use and straightforward dashboard make it a natural choice for any small business, individual or non-profit. And, with our polished customisations, it’s great for law firms too. No software would get a 60% market share if it wasn’t easy and pleasant to use. It’s aimed at non-technical site administrators rather than developers. 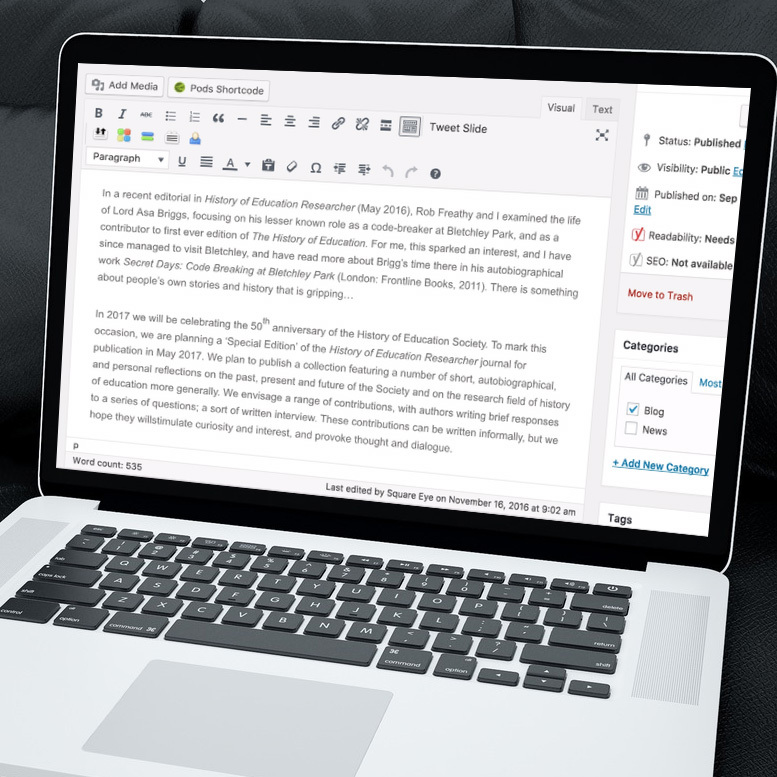 Automattic, which publishes WordPress, is a billion-dollar company. You’re not entrusting your site to a platform that might disappear on you. Because WordPress is so popular, there’s a huge ecosystem of available plugins to add functionality to your website at little or no cost. WordPress is open source meaning that anyone can edit its code, so there are no restrictions on what can be done to it. WordPress itself is free, and although it may require ongoing support, and many add-on functionality plugins have license fees, they tend to be very modest. Overall, you’re embracing a low-cost model compared to corporate CMS packages. And also extensive written and video tutorials from the popular WordPress community, making it easy to educate WordPress users, and helping developers solve problems easily. If you’re on a tight budget you can buy a site design off-the-shelf, from thousands of options. But there are no limits with WordPress: it can power any kind of site with any kind of custom design. 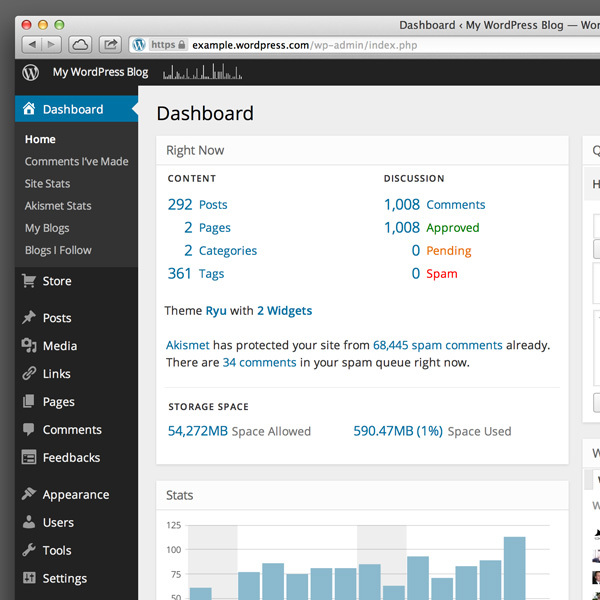 WordPress is easy to customise meaning the admin dashboard can be tailored to your exact tastes and needs. No square pegs in round holes here. A basic WordPress installation is already optimised for indexing by Google; and certain plugins and tweaks make it better still. WordPress comes out-of-the-box with a user privilege system, allowing you to give different editing powers to different members of your team. As WordPress is so popular, if you ever need to find a new developer or agency to support your site, it won’t be difficult.